The ISBN is a contemporary art bookstore and a gallery space. The name of the gallery was obtained from the 13-digit identification number for publication, the ISBN-number (International Standard Book Number). The most important mission of the ISBN – books+gallery is to map, collect, exhibit and distribute the domestic and regional, Hungarian and foreign language, new and second-hand contemporary art publications, exhibition catalogs, zines, art books, photobooks and theoretical publications. Representation of domestic independent publishers, promotion of their publications. The mapping and distribution of domestic and regional limited edition art books, zines, fanzines, photobooks and other unique publications. Creating links and facilitating dialogue between artists and professionals dealing with domestic and regional independent publications. Providing individual and group exhibition possibility for Hungarian and Central and Eastern European young and middle generation artists and curators in the ISBN gallery space. Organizing and conducting professional programs and events related to artistic publications and the exhibitions. The ISBN – books+gallery is in the 8th district of Budapest, a few minutes’ walk from Blaha Lujza Square. 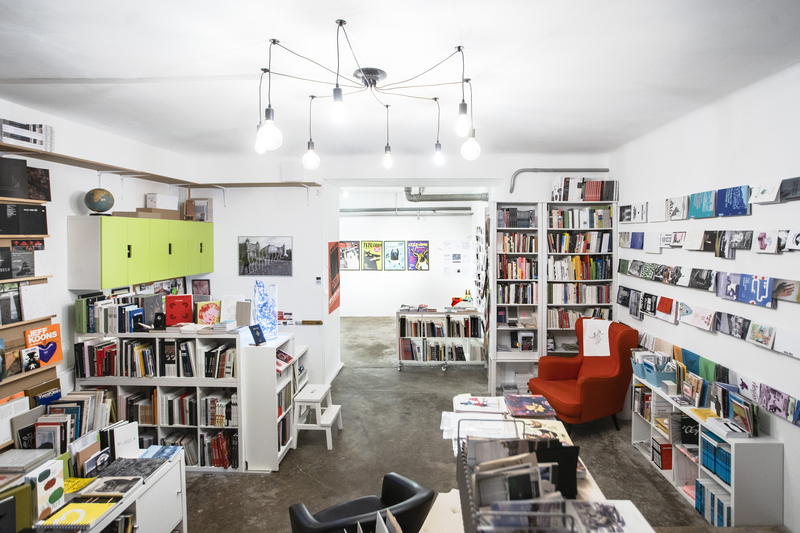 The bookstore is constantly open with a continually expanding offer, while the gallery space provides temporary exhibitions and diverse professional programs. The bookstore is open from Tuesday to Friday, from noon to 7pm, and from 2 to 6pm on Saturday. The dates of the professional events and related programs is continuously communicated on our website and on our Facebook page. 5 individual / double exhibitions of 5 young / middle generation Hungarian artists annually. 2 curatorial group show annually. A joint exhibition for one foreigner and one Hungarian artist annually. A guest project of one invited foreign partner institution annually. A Christmas artists’ book market annually.